← Do you know who was Karl Landsteiner? 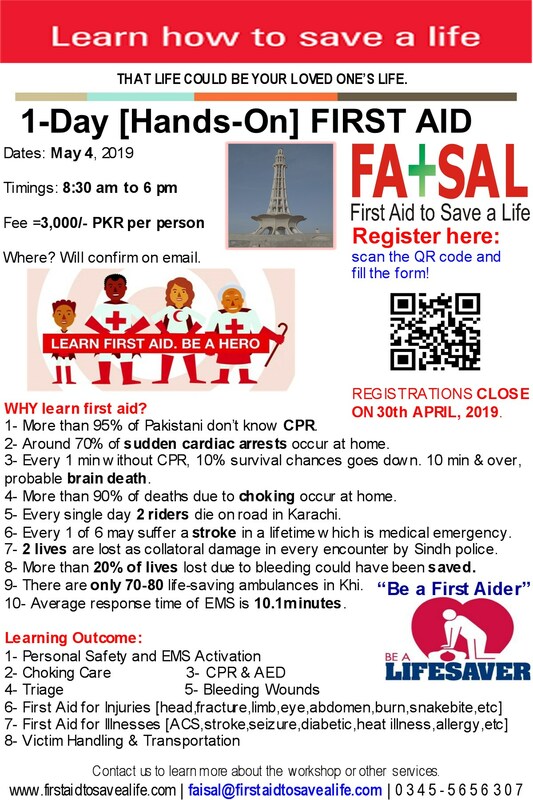 Today, I would like to share some statistical information of First Aid to Save a Life Pakistan’s website. In today’s post, I will give you summary of statistics from April 26, 2011 to May 26, 2011. Visits: Our site was viewed 765 times during the mentioned period and 67 visits were made on any single day that was May 07, 2011. Maximum (257) hits were received by home page of our website which also led users to view our official page set up by MEDIC FIRST AID International Portal. Our Medic FIRST AID trainings page received 87 hits. Our Services pages received 35 hits and our newly launched “online store” received 33 hits in very short time after its proper update. Search Engine Statistics: Our site appeared 18 times on search engine pages during this time. Referrers: On 30 unique moments our site was referred by search engines for first aid training services during April 26 to May 26, 2011. Subscribers: 4 online users subscribed to our news and blogs list. Web Links Visits: 132 times online users opened our associated profiles and official training center page and links posted on our website. At last, I would like to share with you the downloading stats. MEDIC FIRST AID’s sample course book was downloaded 20 times and our course brochure for Basic CPR and First Aid for Adults was 17 times downloaded during April 26 to May 26, 2011. We will also look forward to your comments if you faced any troubles with any particular page or still having some problems while browsing our website. We are doing our best to complete our online store page as early as possible and make it more users friendly as well. This entry was posted in Web Stats and tagged web statistics. Bookmark the permalink.